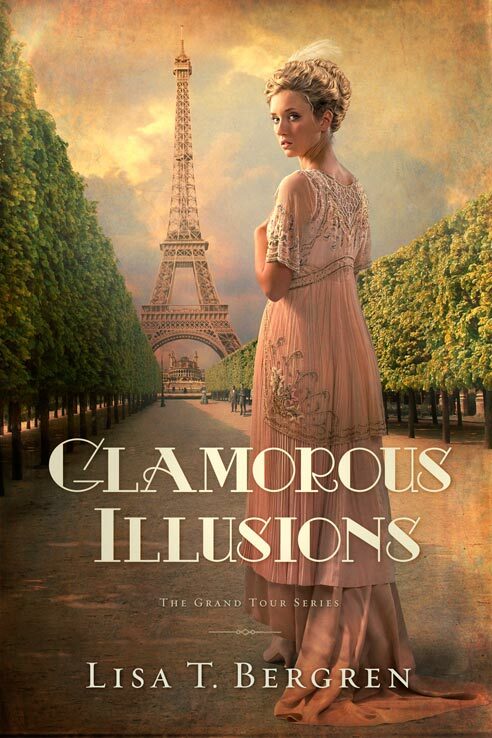 This is the first book in Lisa T. Bergren's new Grand Tour series. Its historical setting in the early 1900 quickly caught my attention, and I enjoyed the beginning of this series very much. Unlike the River of Time series, this one has a slower pace and is more character-driven than action-packed, although there is plenty of action as the young characters set out on a Grand Tour of Europe. Cora Kensington is a young woman who grew up on a farm in Montana. She returns home in the summer of 1913 from her studies to become a teacher. But the crops are failing and her father is ill. It seems that things are bleak until a rich stranger appears at their door and everything in Cora's life changes. She is given the opportunity to do the “Grand Tour” of Europe with kin she's never known on a journey meant to educate and refine. Bergren does a fine job of building characters that stand out and that I cared about. I love Europe and so the setting really appealed to me. Cora is on a journey of self-discovery. Her love for the farm, the simple life she left behind with parents she adores causes her to struggle with her new enjoyment of the life of the privileged and rich that she is now experiencing. Although I always enjoy a rags to riches story, I felt things came a little too easy for Cora. Having been raised on a farm, she should have struggled more with the etiquette of the rich, but instead she seemed to fit quite well and hardly made any faux pas. She seemed too perfect. I loved William's character the most because his actions fit well with his station in life. He was very real to me. I understood and empathized with his struggles. The story alternates between Cora and William's point of view and I liked this, although Cora's is written in first-person, whereas William's is in third-person. Cora catches the eye of wealthy Frenchman, Pierre de Richelieu, in France where their journey ends in this first book. She has budding feelings for both him and William, which I'm sure will be further explored in the next instalment. I look forward to reading the next two books in this series, Grave Consequences (Spring 2013) and Glittering Promises (Fall 1013). Note: This book is rated C = clean read. Disclosure: Thanks to NetGalley and the publisher for sending me this book for review. I was not compensated in any other way, nor told how to rate or review this product.